I found this quotation so moving that I decided to make something that I could give to my daughter so she could carry it with her wherever she went. 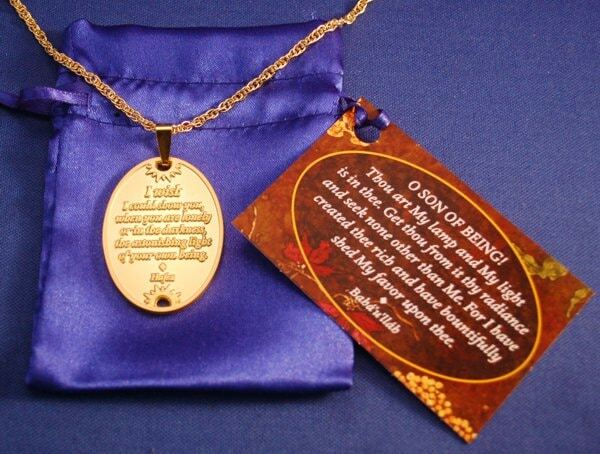 What I came up with is this versatile 30x42mm medallion that says “You are loved” on the back. 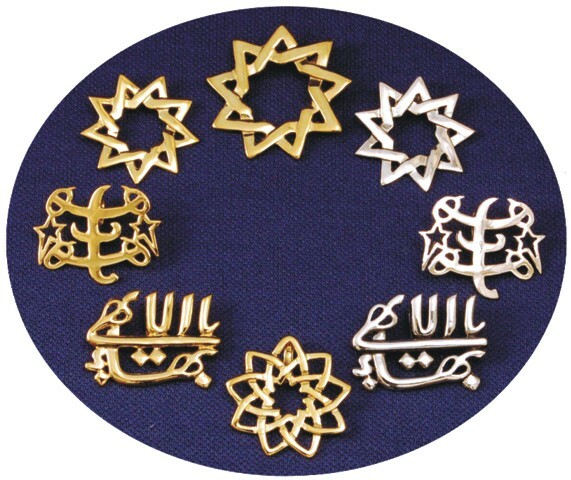 With holes at both ends of the oval, it can be carried as a coin, or attached to chains, key chains, bracelets, or ribbon. With so many ways to carry it, you can find a version for just about everyone you love. How many people is that? And because it says “You are loved” rather than “I love you,” it can be given by communities and organizations to whole groups of people who are in need of support and encouragement. To make it even more special, we are packaging them in satin pouches with a gift card with another uplifting quotation – this one from Baha’u’llah. Go to our NEW page to see all of the options that are currently available. We will be adding a few more when the right findings come in. 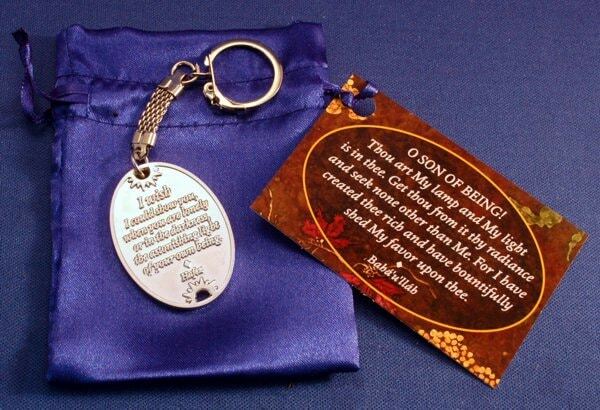 Here is a picture of the silver-plated medallion on a key chain that shows the satin pouch and accompanying card. The key chain is particularly nice for boys and men who might not wear a necklace. Of course, if this medallion isn’t quite what you are looking for, we have over 30 other pieces of jewelry to satisfy any taste and meet any budget.